The mission of this website is to provide information regarding Tug Hill (and beyond) Snowmobile riding and grooming conditions. You will also find pages providing links to other sites for Weather, Snow Cams and Sled Club information as well as a page dedicated to Gas prices. 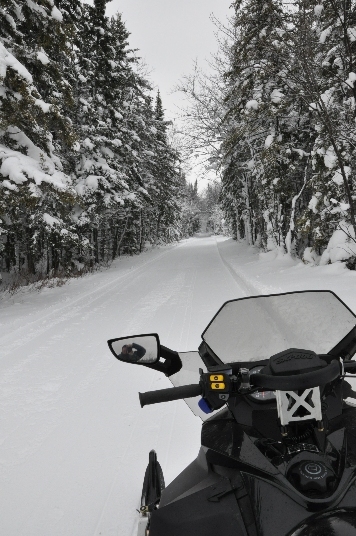 Please join the Snowmobile clubs where you ride so the Volunteer members can provide safe and smooth trails. Ride safe and have a great season! missed your pics and comments. Hope we get a couple chances to ride this year! Your reports were the first thing I looked for when i got into the office each and every morning. Looking forward to all your reports again, wishing i was riding. Congrats and good luck on getting this site up and running, it’s imperative for guys like me who live 400 miles away, yet are looking to make the trek based off of realistic reports from unbiased dedicated people who ride. Smooth and happy trails to you and your family. Really glad to see that you are back up and running. It was a real loss not having your reports the end of last season. Hope to see you on the trails! So glad to see a trail reports page again! Here’s to a great 2010/11 season! Just discovered this blog and love it. The photos are great to see also. I left the north country several years ago and really miss it this time of year. Thanks for sharing..
great website on tug hill keep it up ! thanks for the good reporting your our eyes up there since we live over 3 hours south .